Built in 1876, Fairmount’s main claim to fame is that it was the final home of the cricketer W.G.Grace, who lived here from 1909 to 1915. A blue plaque is visible above the front door. Fairmount is a comfortable home located on a quiet residential road offering dementia residential care. Fairmount’s key features include two T.V lounges, a garden lounge, a conservatory, an activity area and a spacious dining room. It has a beautiful decking area in the garden overlooking W.G.Grace’s Tea Room which is open throughout the year for residents and visitors to enjoy. Located at the rear of the garden is a large Koi Carp pond and Fairmount of Mottingham are proud to home their very own pet cat called Arthur. Providing personal 24-hour care and support in a professional way is our priority. All our care assistants are highly trained and continuing professional training and development is both encouraged and supported throughout. Read our CQC report below. Fairmount consists of fully furnished en-suite bedrooms, all attractively decorated to a high standard including a personal television and telephone point in every room. Residents are of course welcome to bring their own belongings, such as pictures, small items of furniture and ornaments to make their room more homely. Follow M25 to A20 in Kent. Take exit 3 from M25. Head south-east on M25. Use the left 2 lanes to take the M25 N exit. Merge onto M25. At junction 3. Use the left 2 lanes to take A20 exit to M20/London/Lewisham/Maidstone/Channel Tunnel. At the roundabout, take 2nd exit onto the A20 slip road to Lewisham/ South East London. Follow A20 to Mottingham Lane in London. Merge onto A20. Turn left onto West Park. At the roundabout, take 2nd exit onto Mottingham Road/B226. At the roundabout, take 3rd exit onto Mottingham Lane. Destination will be on the right. Fairmount of Mottingham is a 15-minute walk away from Mottingham train station. Turn right onto Court Road. Turn right onto Sidcup Road. Turn left onto West Park Road. At the roundabout, take the 2nd exit onto Mottingham Road. At the roundabout, take the 3rd exit onto Mottingham Lane. The destination will be on the right. Fairmount of Mottingham is conveniently located on various bus routes. Offering a number of services in and around the area including 124, 126 and 161. 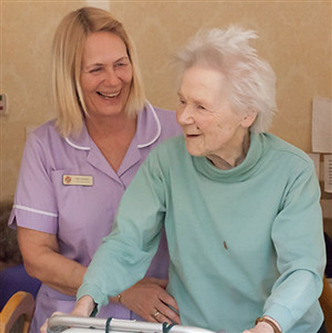 The Mills Care Group is an independent provider of residential, nursing and supported living care homes in Kent and London Borough of Bromley. Established in 1985, The Mills Family Ltd, Chislehurst Care Ltd and Fairmount of Mottingham now operate under the umbrella of The Mills Care Group.